Wizards of Waverly Place star who played Abby Hanover in the 2011 film Mean Girls 2 and was nominated for a Young Artist Award for her role in House M.D. She also starred in Harriet the Spy: Blog Wars . Her career began at age six, and she made her breakthrough performance in the 2003 film Secondhand Lions . 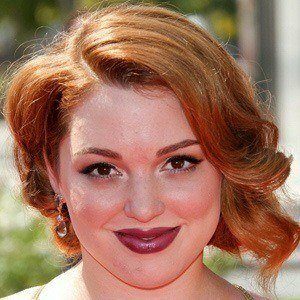 She had a voice acting role as Amanda in an episode of Phineas and Ferb in 2009. She began dating Dan Benson in 2011. She starred on the hit Disney Channel original series Wizards of Waverly Place with David Henrie .